Everyone knows that you have to do cardio. It isn’t enough to go to the gym and just lift weights all day. You can go to a BJJ or MMA gym and train and you will develop your cardiovascular health, but it’s still vital that you find space within your training regimen to get some quality, dedicated cardio in. There’s plenty of options and machines to choose from when deciding which kind of cardio to do and each of them have their benefits and their pros and cons. It’s important to decide just why you’re doing cardio before you decide which machine to use. 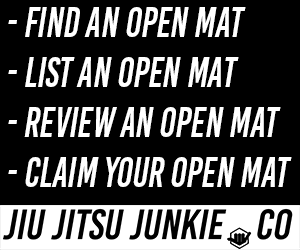 If you’re a BJJ/MMA athlete, then you’re going to want to do cardio that can replicate the kind of strenuous activity you’ll be doing on the mats. Whilst street running, or road-work as it’s sometimes called, is great and encouraged, it might not be the optimal form of cardio for what you’re trying to achieve. In fact, rowing might be a much better option for you. 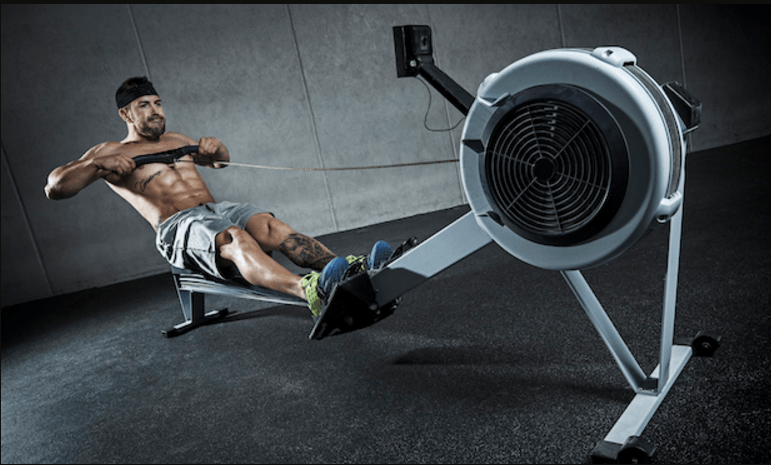 Rowing and rowing machines are great as they are one of the few cardio machines that work both the lower body and the upper body at the same time. Think about it; most cardio machines work your heart and your legs, very few get your upper body involved in any considerable way. With rowing machines, it’s very easy to change just how hard/soft or how fast/slow you go in a safe manner. Increasing the speed can be quite hazardous on a treadmill whereas it’s safe and easy to do on a rowing machine. Rowing is arguably the best form of cardio for functional athletes to be doing. The Concept2 Model D is one of the sleekest and smoothest rowing machines on the market. There are no jerky motions with the cable or contraption getting caught or jarring you; just a nice, smooth ride. This smoothness makes the exercise even lower impact, so your joints and delicate parts don’t take a beating; only your muscles and your cardiovascular system. It can be easily separated into two parts which makes it easy to move around and even store away completely when not in use. The caster wheels on the bottom of the device allow you to roll it around so you don’t have to carry the machine. It can also be attached together again just as easily when you’re ready for a great workout. Sunny Health and Fitness have included a large, clear LCD console display into the front of the machine, making it quick and easy to view your time, calories burned, distance rowed, etc. Some machines include a small display that can sometimes be difficult to view, especially when you’re fully rowed, so it’s nice that Sunny Health and Fitness have remedied this so you can see how you’re doing at all times. The fully padded seat and non-slip handlebars, combined with the matching anti-slip foot pedals, mean that you won’t be slipping out of the machine by accident during your workout. Once you’re locked in, you won’t be coming out until you’re good and ready to leave. This also makes for a more comfortable and enjoyable rowing experience. Air rowers are a great alternative to the more-common standard rowers that you see in gym and available online. The resistance changes itself to match your own speed and output; the harder and faster you row, the more the resistance increases to match you. If the resistance is too much, then simply row slower and easier and it will bring itself down. Anyone who’s used rowing machines before know how much of a pain it can be when you’re right in the middle of a good session but need to change the resistance. Normally, this is done manually by a switch/toggle at the front of the machine, which means you have to stop your momentum to change it. Luckily, that is not the case with this air rower. The machine is very stylish and sleek and can be folded up and away with great ease to save space. Unless you’re doing HIIT cardio, you’ll probably be sitting in the rowing machine for long, extended periods of time. This is why it’s extremely important that you choose a rowing machine that is built with the users comfort in mind. Rowing can be tough as it is, you don’t want to have to stop or adjust simply because you’re glutes and legs aren’t comfortable. To combat this issue, Merax have made sure that their seat is as comfortable as can be, with firm yet soft double-padding and upholstery to provide that much needed support. The footplates can be rotated and adjusted to your exact requirements to give you even more comfort and stability when rowing. Stamina have produced countless cardio machines over the years, from rowing machines to stair steppers, so they know just what can make or break a cardio machine. They’ve used their knowledge and experience to create this brilliant rowing machine to provide the optimal rowing experience. The aluminium rowing beam allows for the smoothest possible seat sliding whilst the ball-bearing rollers allow for an equally smooth rowing stroke despite what level of resistance you’re using. Smoothness of rowing and user comfort are arguably the most important factors when it comes to choosing a rowing machine. Luckily, Stamina have both these avenues covered completely along with all the bells and whistles and little touches that create a quality product, such as advanced floor protectors, water bottle holders and phone holders. Rowing machines can give you an excellent full body workout in your own home. You can work the muscles of your legs, glutes, back and arms whilst also getting in a really tough cardio workout in. There are very few machines that are capable of providing a workout as complete as the rowing machine does.